I’ve been waiting to make this for a few days but didn’t have any bread ! We got the munchies on Sunday whilst tidying up – so I decided to put this together. And it’s pretty easy. Brown some onions slowly so they get nice and brown and sweet – and then add some rosemary and leave to cool down. 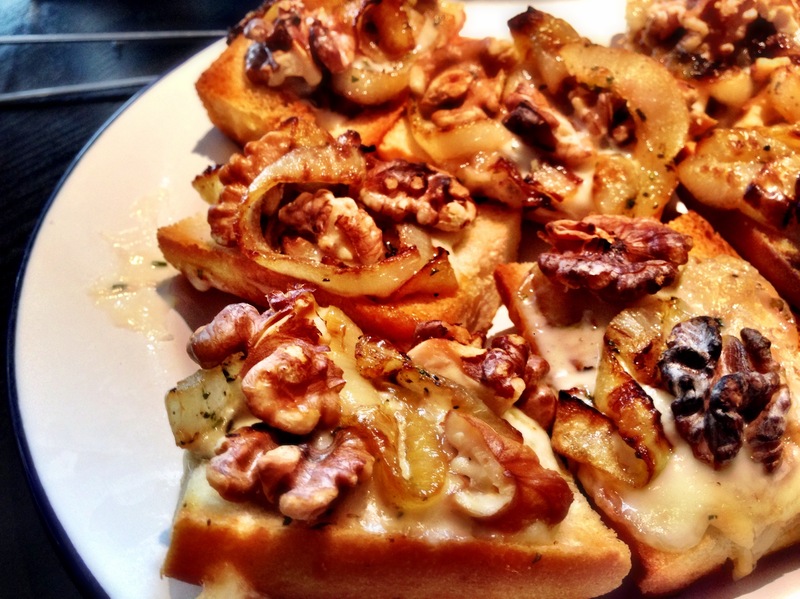 Toast some bread on both sides – then add the gorgonzola, walnut halves and onion – and grill again until the cheese melts. I didn’t have any crostini – so I just used a sliced up baguette – but it was very good. Definitely one to do again. Another awesome Ottolenghi recipe. This entry was posted in Vegetarian, Want to make again, Yotam Ottolenghi and tagged crostini, david tanis, food, gorgonzola, one good dish, recipe, walnut by tenuoustoaster. Bookmark the permalink.